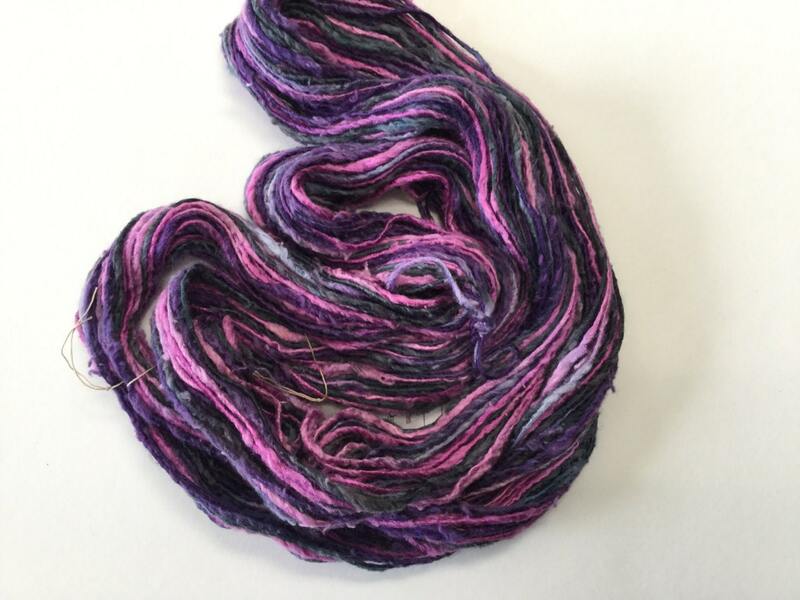 I hand-dyed this yarn in shades of pink from light pink to bright pink, purples from a lavender to a dark grape, and navy blue. 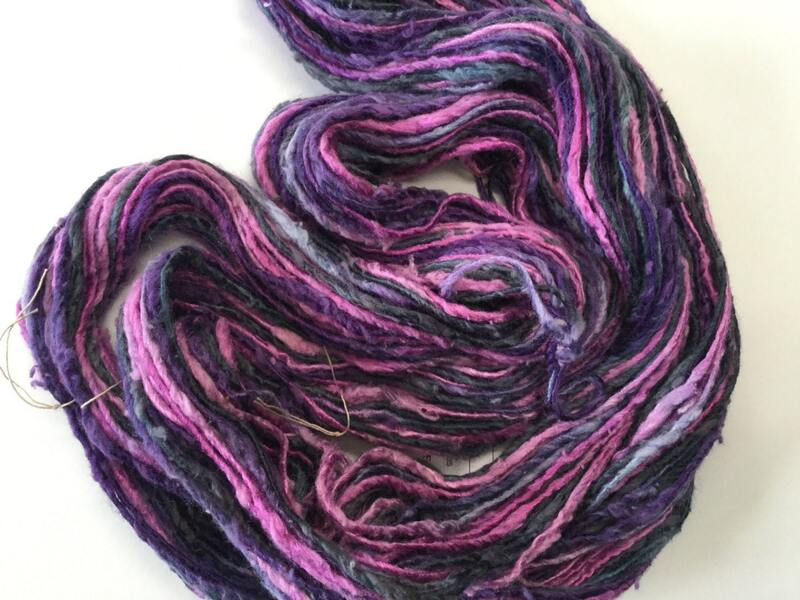 This is a single ply yarn that is thick and thin and loosely spun and tightly spun. 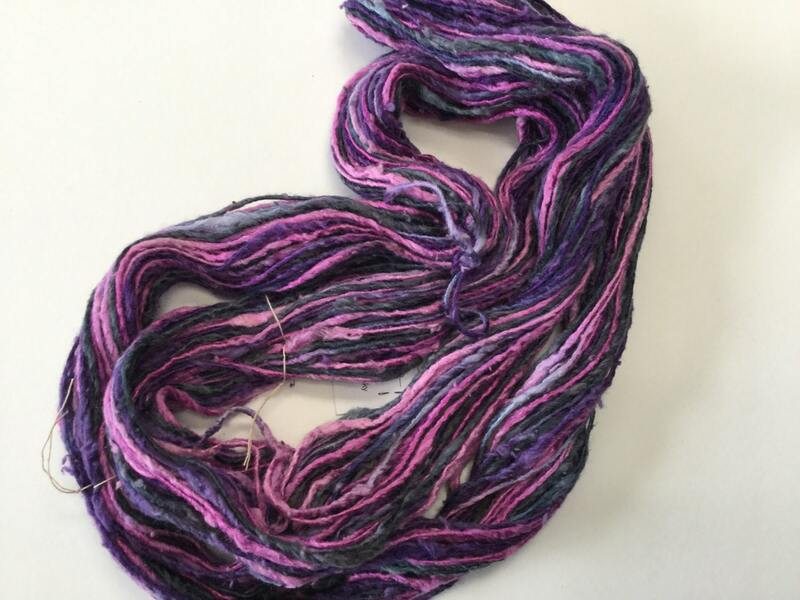 The combination of rayon and cotton gives the yarn areas of shine. 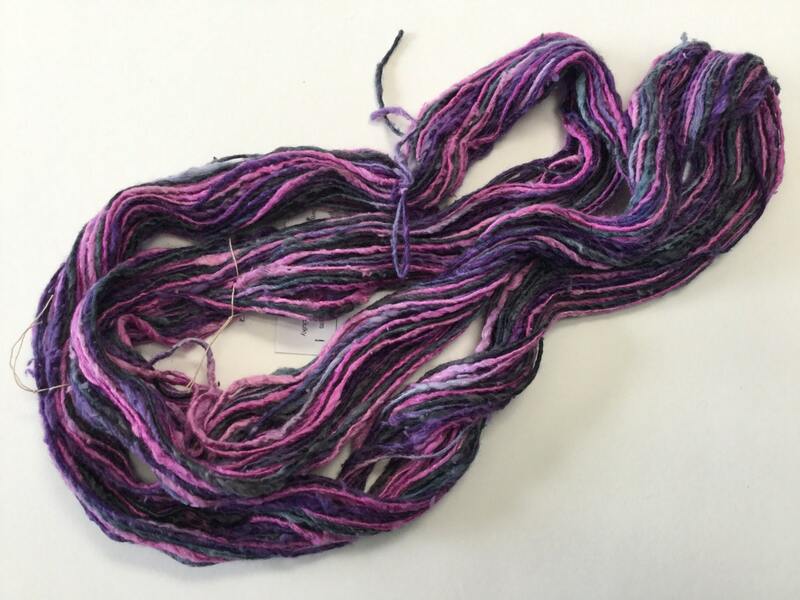 Each skein is 100 yards and weighs about 2.5 ounces. This yarn wraps at 10 WPI. Would be good for knitting, crochet, and other fiber crafts. 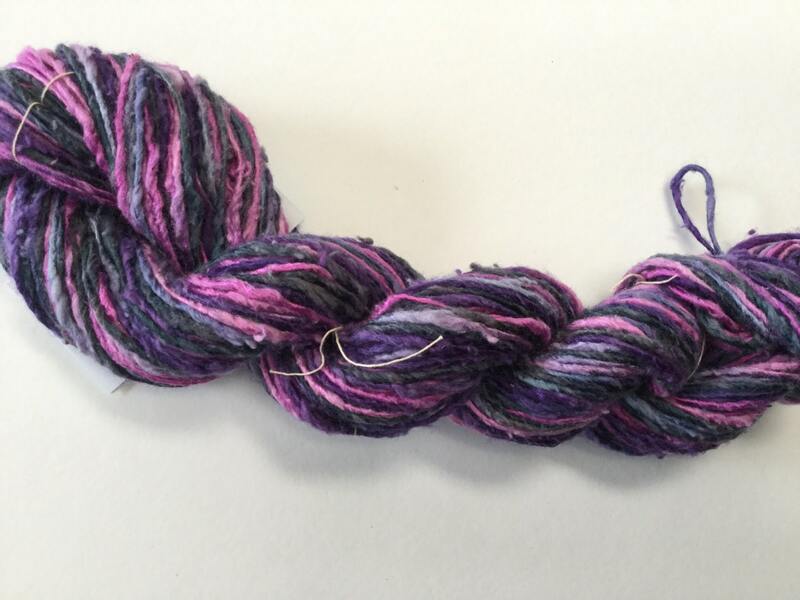 This yarn would be good as a weft thread in weaving.